NHRA racing continues in late April and May with some really exciting races. From April 26th – 28th the NGK Spark Plugs NHRA Mello Yello Four-Wide Nationals will burn up the track at the zMax Dragway in Concord, at Charlotte Motor Speedway, NC. This Dragway is famous for its fan amenities and enormous grandstands, where tons of fans can watch the excitement. Racers try to qualify in Top Fuel, Funny Car and Pro Stock Motorcycles, as well as Pro Mod racing. The Semi-Finals and Finals take place on Sunday afternoon. Take the time to watch the Top Alcohol racers as well as racers in the Sportsman category at this NHRA Mello Yello Drag Racing Series race. The wheels will be spinning and tires burning as top racers vie for points in Charlotte. Camping for your RV is available from 4/25-4/28 at the Camping World Racing Resort adjacent to the zMax Dragway. And, trackside camping is available at the Dragway where you can enjoy the comforts of home while watching the fastest accelerating machines on the planet race all weekend. These sites are located near the top of the timing light on the east side. For more information on tickets and to reserve camping, see NGK Spark Plugs NHRA race. The next weekend takes racers to the Arby’s NHRA Southern Nationals at the Atlanta Dragway. This race weekend occurs on May 3rd through the 5th with Pro Qualifying races on Friday and Saturday with the Pro Stock Motorcycle and Nitro Final races on Sunday afternoon. This is one of NHRA’s long-established events; this belle of the south has gained a reputation as one of the tougher events on the tour to win. With summer approaching, warm temperatures can turn the event into “Hotlanta” and throw crew chiefs a curve as they try to glue their charges to the facility’s 660-foot concrete launch pad. For more information or to find out more schedule details or to see about on-site camping, check the Atlanta Dragway website. As the temperatures heat up, so does the excitement while the NHRA’s best Top Fuel and Funny Car competitors battle at Virginia NHRA Mello Yello Nationals in Virginia Motorsports Park. This exciting event takes place on the weekend of May 17th-19th and will be full of fast cars, motorcycles and fun! Starting with Pro Stock Qualifying and Nitro Qualifying sessions on Friday, the excitement continues on Saturday and Pro Stock Eliminations and Nitro Elimination finals are on Sunday. Camping inside is available and you can get all the details of the race and the available campgrounds at the Virginia Motorsports Park website. And to wrap up May, from the 30th to June 2nd, don’t miss the Route 66 Nationals at the northeast end of Route 66 in Chicago. Friday and Saturday are qualifying rounds and Sunday will be the eliminations, semi-Finals and Finals for the Pro Stock and Nitro Eliminations races. For more information on the races, camping and tickets see Route 66 NHRA Nationals. Don’t miss the exciting action at the track when you go in your RV to any of these NHRA events. Need to rent an RV? Find your ideal recreational vehicle at one of our El Monte RV Rental locations. 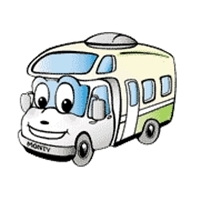 See our Where to Rent an RV page for all our El Monte Rental locations and check with the nearest one for available rentals. NHRA racing started this February with the Winternationals in Pomona, CA. In March the track was already ablaze with the Amalie Motor Oil NHRA Gatornationals in Gainesville, FL. But don’t worry; these two kickoff races will be followed by some really exciting races in April. You still have time to plan to get to the Las Vegas Motor Speedway in Las Vegas, NV for the Strip’s famous DENSO Spark Plugs NHRA Four-Wide Nationals on the weekend of April 5th – 7th. The Speedway offers seating for more than 130,000 fans to watch the excitement as racers try to qualify in both Pro Stock and Nitro Qualifying races on Friday and Saturday, with Semi-Finals and Finals on Sunday afternoon. Take the time to see Top Alcohol racers as well as racers in the Sportsman category at this NHRA Mello Yello Drag Racing Series race. The wheels will be spinning and tires burning as top racers vie for points in Las Vegas. Camping for your RV is available on site, at the Burnout RV lot. Located next to the dragway behind the general admission grandstands, the Burnout RV Lot features reserved camping. This allows for easy access to the pits and main grandstands. Race tickets are required in order to camp in this lot. For more information on tickets and to reserve camping, see DENSO Spark Plugs NHRA race. The next weekend takes racers to the Mopar Express Lane NHRA Spring Nationals Presented by Pennzoil at Houston Raceway Park near Houston, TX. This race weekend occurs on April 12th through the 14th with Pro Qualifying races on Friday and Saturday and the final elimination races on Sunday afternoon. This weekend is the fifth race of the NHRA Mello Yello Drag Racing Series. As the temperatures heat up, so does the excitement while the NHRA’s best Top Fuel and Funny Car competitors battle for an early season points lead at Houston Raceway Park. Every ticket is a pit pass, giving fans unmatched access to the drivers and crews who drive these 10,000-horsepower machines to their limits! Camping inside Houston Raceway Park is already mostly sold out but there are some spots left in the Nitro Village Campground. If that is full, there are several area RV campgrounds nearby. Check these out in Baytown, TX. Highest rated is Buzzards Roost RV Park, which gets 4.9 out of 5 stars on Google. Also nearby is Pine Lakes RV Park, Mont Belvieu, Houston East and Texans RV Park, all rated with at least 4 stars. For more information on camping and tickets see Mopar Express Lane NHRA Spring Nationals. Don’t miss the exciting action at the track when you go in your RV to either of these NHRA events. Need to rent an RV? Find your ideal recreational vehicle at one of our El Monte RV Rental locations. Planning to go to the Las Vegas Motor Speedway? Check our Las Vegas Rental location for rates and availability. If you are heading to Houston, our closest location is at El Monte RV Rental in Dallas, only a 4-hour drive from the Houston Raceway Park.